The sun is shining & the days are getting longer- Spring is on it's way! It's time to say good-bye to dull, dry, skin & get ready for Spring. 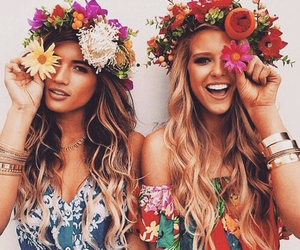 Follow these easy steps to make sure you step into Spring primped & pretty as ever! C'mon you all know you do it. In winter time it is so much easier to put on a pair of long pants, than it is to deal with dreaded hair removal. You will feel smoother & sexier already! During winter our skin copes a beating! It is time to slough away all those dead skin cells from top to bottom. We recommend Pure Fiji Coconut creme scrub, enriched with vitamins & extracts, followed by one of their luxurious body butter or exoctic body oils. Who doesnt love sliping into a strappy pair of gorgoeus sandals in Spring? Dry, scaly feet are not attractive though! Treat your feet to a Spa Pedicure to exfoliate & buff away all that dead skin. Finish of with colours HOT, HOT, HOT for spring! Bio sculpture gel has just released their "Happy Hippie" collection. With Flower Child- a fab pink, Gorgeous Cornflower Blue - brings out the inner spirit, or a beautiful neon coral that just screams summer fun, you can't go wrong! The combination of cold weather & blasting hot heating has left your skin dull,dry & devitalised. It's time to give your face a thorough exfoliation & lock some moisture & nutrietns back into your skin for a delicious dewy glow! IMAGE Skincare O2 Lift treatment is perfect to exfoliate,oxygenate & illuminate skin for a fabulous spring glow. Now that you have sloughed away that dry, dead skin from top to toe, it is now time to get that bronzed glow to look smoking hot in your new outfit! Sunescape is a healthy, natural looking tan perfect for all skin types, & lets face it, we look & feel better brown! Winter was all about dark, dramatic hues, but Spring screams for bright & flirty, & pretty pastels. Kepp make-up light & simple. Concentrate on "Wow Brows" using Youngblood Mineral Cosmetics Eyebrow Sculpting Pencil, teamed with a fun lipstick like Youngblood's "Dragonfruit", "Tangelo" or "Debalicious". Now you are ready to step into Spring, embrace the sunshine & ENJOY!! !